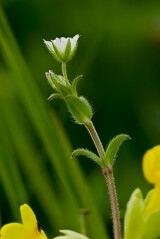 Common mouse-ear is a low growing, winter green perennial. It is quite a hairy plant with lanceolate un-stalked dark green leaves arranged in opposite pairs along the stem. 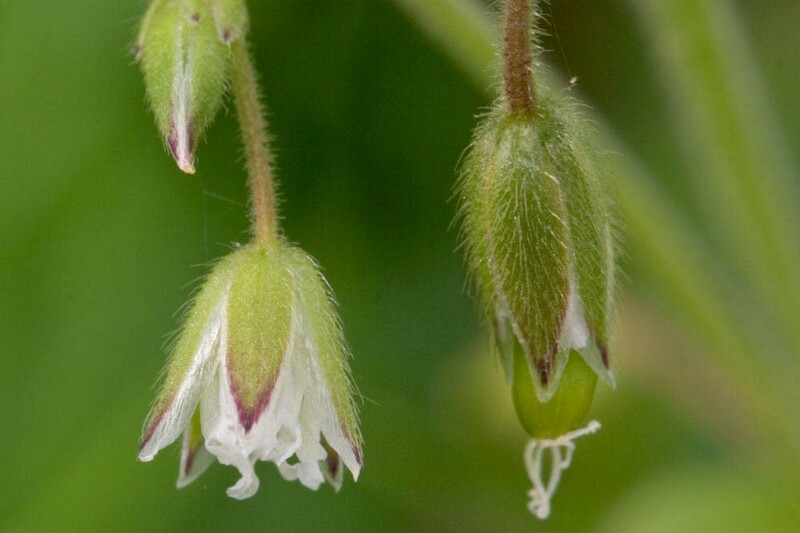 The flowers consist of five deeply notched white petals backed by green sepals with thin white borders. Flowering occurs from April through to November. 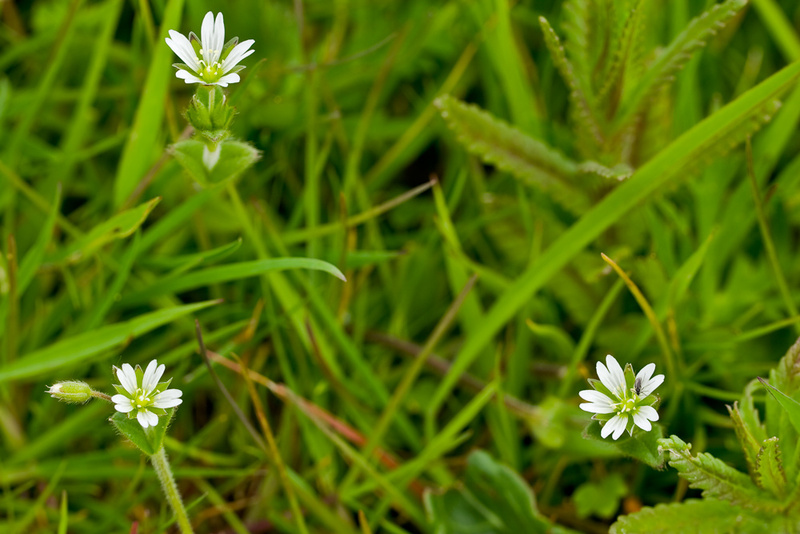 Common mouse-ear is a tufted or mat-forming perennial that is almost ubiquitous in cut, grazed or managed grassland and is found throughout the British Isles. 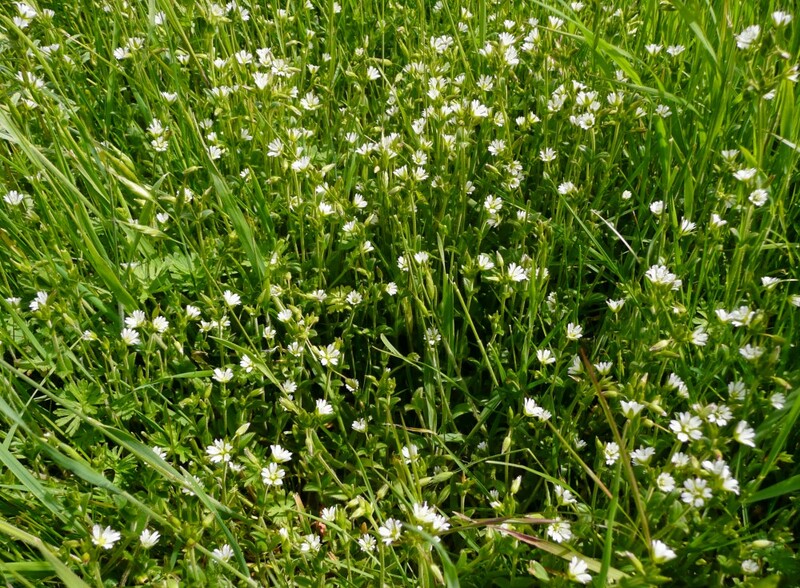 It is shade tolerant in the early part of the growing season and is therefore able to exploit hay meadows despite being such a low growing plant. It does however require the hay to be cut and removed if it is to persist. Regeneration occurs through the growth of freely rooting lateral shoots and the production of large amounts of seed which can remain viable for up to forty years. Although a perennial, Common mouse-ear can grow rapidly from seed capable of flowering within nine weeks of germination. It can therefore behave as an annual and exploit sites that are subject to regular disturbance such as arable land or skeletal habitats like roofs, walls, shingle and sand dunes. Sow at any time of the year.